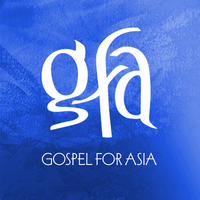 Since 1979, GFA has been committed to serving the “least of these” in Asia, often in places where no one else is serving, so they can experience the love of God for the first time. GFA supports national workers serving as the hands and feet of Christ in four main ways. Sponsoring national missionaries to minister to people’s needs, sponsoring children, investing in community development and helping families in need of care or during disasters. GFA's first Core Value is knowing the Lord Jesus more fully and intimately. This value is lived out daily by GFA staff and since its inception; GFA has provided ways for people to live out their commitment to Christ.